When I was at junior school I got nits. The letter every parent dreads seeing in their kids lunch bag which sparks furious combing, washing with god awful stinky shampoo (have they improved on this yet?) and lots of tears. Especially when your kid has super thick hair down her back. After a week of combing through that mass of hair with the smallest toothed comb known to man, my mum had had enough, and she marched me down to the hairdressers to have it all cut off. 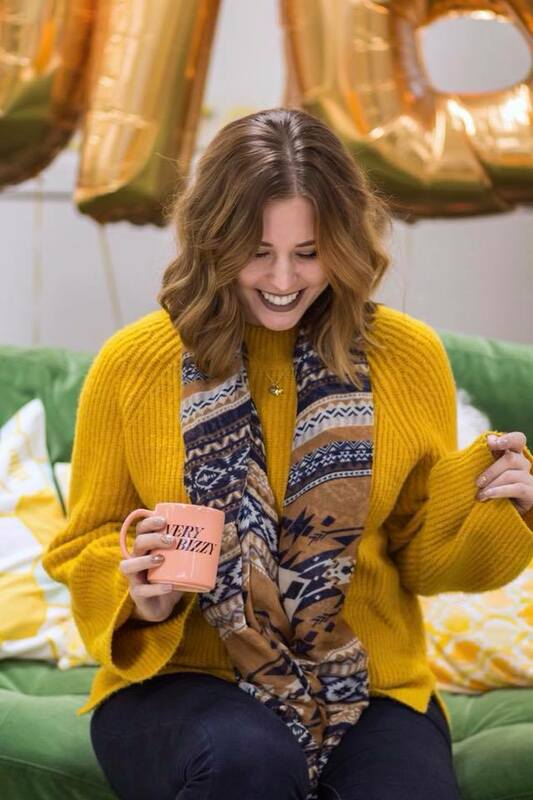 I vividly remember looking in the mirror and feeling a momentary dash of fear that I looked silly, that we’d made a mistake, that I really hated my new short hair. But I was very quickly showered with compliments from the hairdressers and my mum and I walked out of the salon ready to face school on Monday. The children in my class pointed and laughed. They called me names and pretended I was a boy. I was shunned, and I felt so alone. On that day I looked I the mirror after school and vowed never to have short hair again. When I was 17 I took a weekend job at Faith Shoes and I loved it. By then my hair was at shoulder length as I was flirting with ‘the Rachel’ haircut that was all the rage back in the 90’s! There was a beautiful young girl who joined our team with one length hair so long she could sit on it. 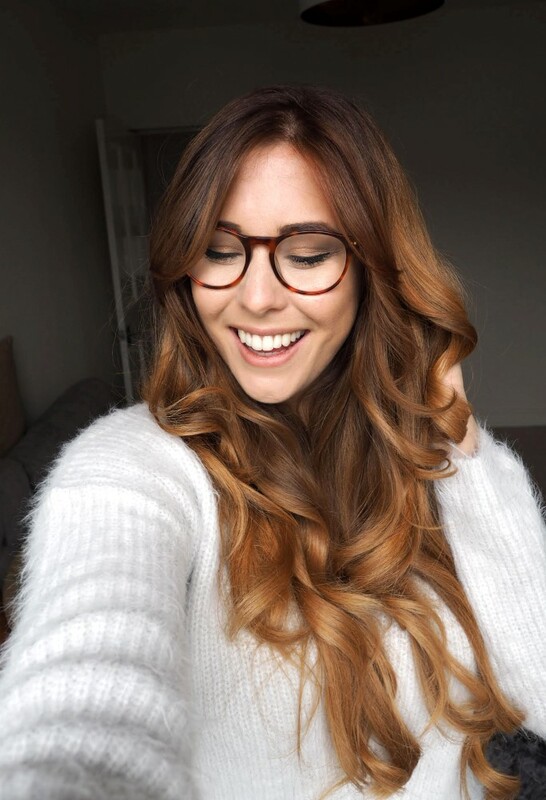 I instantly fell in love with her hair and wanted mine just like it. 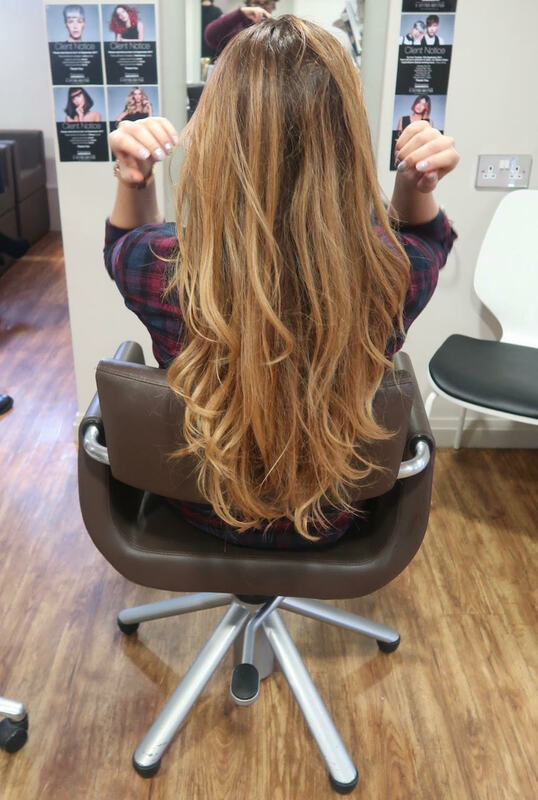 Long, thick, princess hair – just like mine was before the snip all those years ago. It triggered what I didn’t realise was quite the obsession and attachment to my hair which lasted over 10 years. As long as I can remember in my adult life I’ve been known or described as ‘the girl with the really long hair’. Not only had it become my descriptor but it had also become part of my identity. I hide behind it on the days when I wasn’t feeling so confident and also on the days where I was. I could hide my face with it and also be almost certain that someone would comment favourably about it when I’d curled and preened it because it was on the abnormal side of long. It wasn’t until a couple of years ago when a young hairdresser mistakenly cut 3 inches off my length that I realised just how attached and interwoven I was the hair on my head. As silly as it sounds, I felt like she’d taken away a little piece of my identity and I was crushed. Some might call narcissism. Others may connect it to the young trauma of my first big cut. But for me it was a realisation. A wake up call that I’d become far too attached to something so fickle as hair, and the power it can hold. Sadly I’ve known a number of friends and family who have suffered and lost the battle with cancer. I’ve also known others with certain health and mental concerns that cause hair loss, and it’s a big thing. 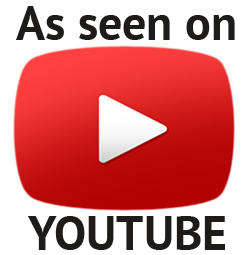 The trauma and violation that come along with the physical and mental pains of the big C are also coupled with that of the superficial signs – sallow skin, weight loss, weakness and of course, losing hair. 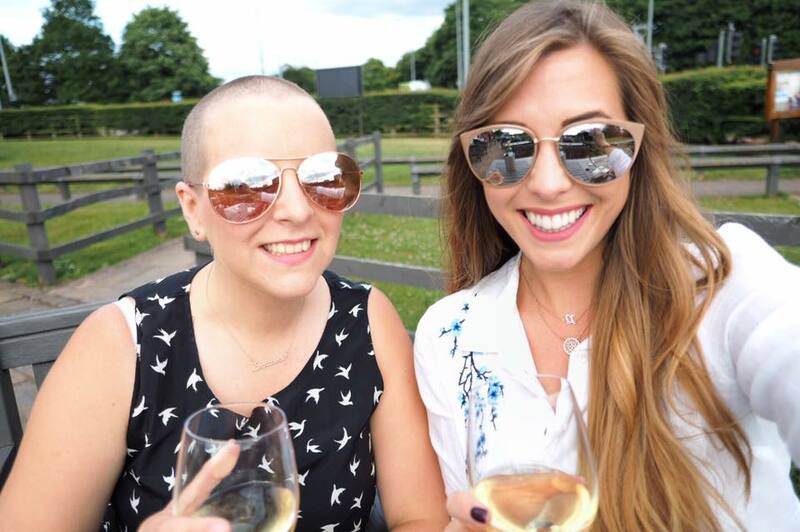 It’s traumatising for both sexes but there still seems to be that extra stigma attached to women with bald heads. In today’s society we’re bombarded by thick, shiny long luscious hair that supposedly promotes and showcases vitality and health. It’s not the case, but it seems that’s our generation’s ‘look’. 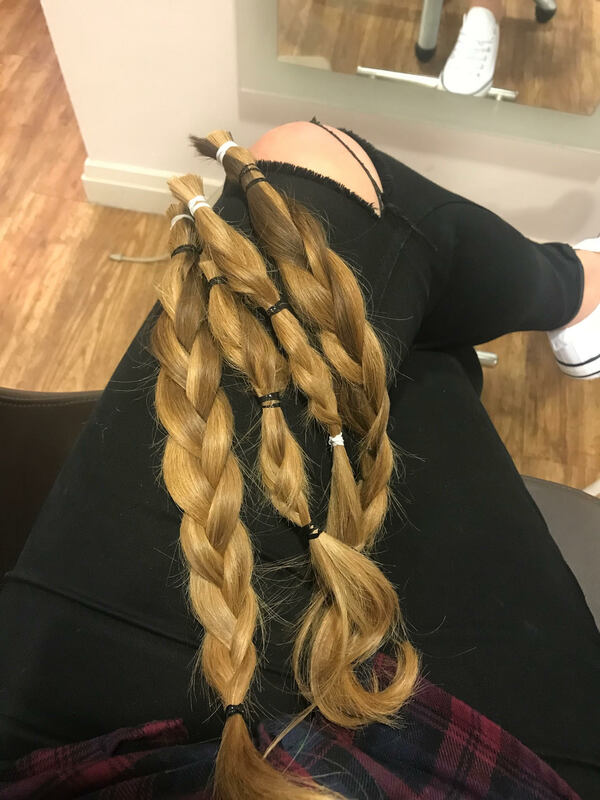 7 months ago I cut off the ponytails on my friend Lucy who raised over £2,000 shaving and donating her hair to charity and it started something. Seeing first hand someone I loved and cared about being so selfless to help others, and also witnessing the badass self-confidence it awoke in her that she never knew existed, it moved me. I remember snipping off those plaits and honestly feeling complete awe for this woman sat in front of me because at that moment I knew I could never part with my long locks. Those of you who’ve been following for a while will know the last year or so has been a bit of a rollercoaster for me. And although I thought I was a-ok a lot earlier on, I think it’s only really properly happened within the last three months. At new year I decided I wanted to wave goodbye to 2017 with all its ups and downs and see in 2018 with a good deed and a new me. So I booked into my hairdressers. It took less than two weeks from a fleeting thought one evening alone with my dog, to sitting in that chair cutting off over 8 years of hair growth. But it was a lot more to me than that. It was 8 years of security, 8 years of self worth, 8 years of comfort and 8 years of (what I thought was) me. There wasn’t even a second of regret as I held my hair in my hands and swished around my new locks that barely even brushed my shoulders. Knowing I was giving up my security blanket so that someone else could find theirs was the deal breaker. I haven’t climbed a mountain*, given up booze for a month, or run a marathon. I’ve not even fully shaved my head – I’ve essentially ‘just had a haircut’. But for me this is big. It’s a part of me that I’ve let go so someone else can feel like themselves again, and I’m telling you all in the hope that it may inspire you to do the same. 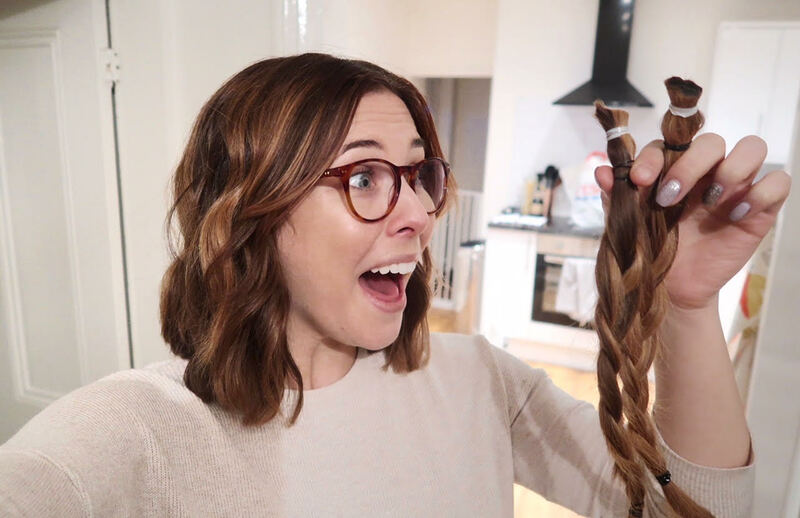 So if you’re thinking of a new style and you have over 7 inches of hair to snip then please do consider donation to The Little Princess Trust, who take your hair and turn it into a fabulous wig for children and young people suffering from cancer. 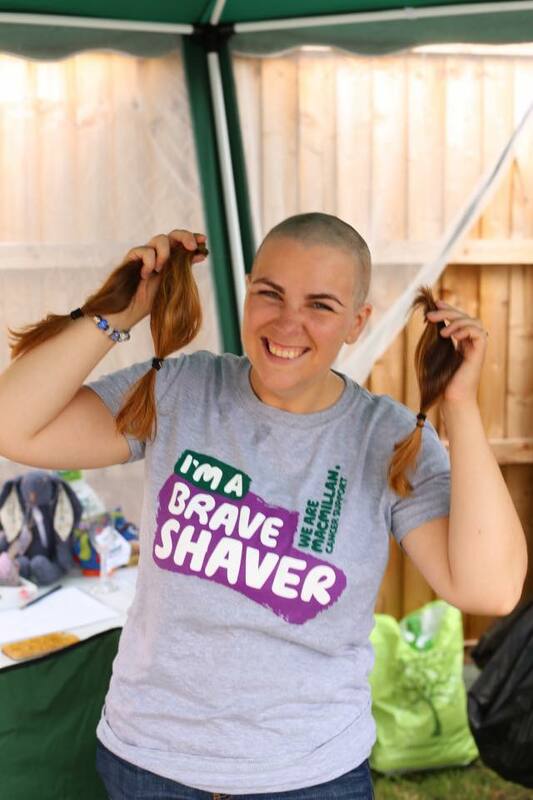 You don’t have to shave your head (although you can if you want – Lucy looked A.MAZE.ING with hers!). 7 inches will make a short wig and over 12 inches can be transformed into a long wig – so don’t let it go to waste if you go for the chop! Plus my hairdressers Francesco told me at the end of my snip that they don’t charge for Little Princess cuts which I think is just wonderful – what a lovely surprise too! I love my new shorter locks and they’ve given me a confidence I really didn’t expect. It feels so liberating and I’m truly ready to re-start my world again for the new year. Before I made the decision I was obsessed with calculating how long it would take to grow back ‘when’ I hated it. But I haven’t had even a second of regret and I am obsessed with the new length – plus is so quick to wash and style now!!! I haven’t felt this good about my hair in years. Truly. I hadn’t realised just how much I held onto my hair until I made the decision to get rid of it. And it was in that moment it dawned on me just how much of a privileged decision that was to make. But hey, ‘it’s just hair’ right? That’s what a lot of people have said to me, but would you say that to a little girl who’s just lost hers with chemo? It can shape a life. Feeling inspired? 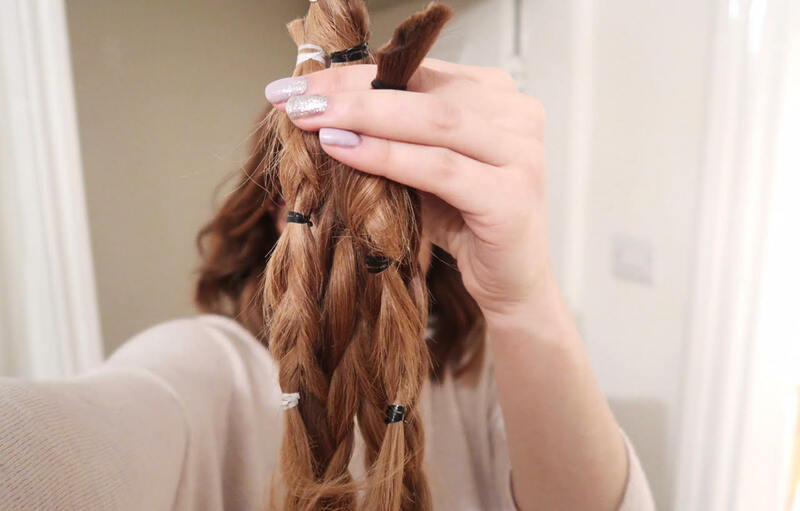 Take a look at The Little Princess Trust and see how you and your locks can get involved.